REIFA Lite | JT ADVISORS, INC. Discounted Cash Flow (DCF) analysis is one of the most useful economic decision-making tools in investment management. 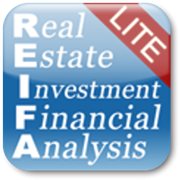 REIFA Lite is a real estate investment analysis application based on DCF analysis method. 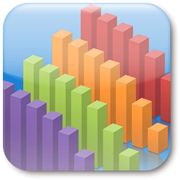 With REIFA Lite you can set multiple parameters and review analysis results with various performance ratios/values, cash flow tables, and charts/graphs for the investment. It helps you determine whether the investment is worthwhile and profitable immediately. REIFA Lite has an RSS Reader function. You can read RSS feeds from HOME'S (http://toushi.homes.co.jp) for investment analyses, but please make sure that the feeds are only available in Japanese. Loan payment method is 'Equal Payments'. Property holding period is 5 years. Standard value of DCR(Debt Coverage Ratio) is 1.30. Standard value of BER(Break Even Ratio) is 70%. We are looking forward to your feedback and welcome any comments or suggestions. This application is made available to you as a self-help tool for your independent use. We do not guarantee its accuracy or applicability to your circumstances. This application is not intended to provide investment, legal, tax, or accounting advice. All examples are hypothetical and are for illustrative purposes and we encourage you to seek personalized advice from qualified professionals regarding all personal finance issue. ADS is the total amount of all principal and interest paid on all of the property's loans throughout the year. ATCFo is calculated by subtracting Income Tax from BTCFo(Before-Tax Cash Flow from operation). ATCFs is calculated by subtracting the amount of tax liability incurred on the sale from BTCFs(Before-Tax Cash Flow from sales). BER is calculated by dividing OPEx(Operating Expenses) and ADS(Annual Debt Service) by GPI(Gross Potential Income). It is expressed as a percentage, the lower the better. It is used by lenders to assess risk in lending the property. BTCFo is calculated by subtracting ADS(Annual Debt Service) from NOI(Net Operating Income). BTCFs is calculated by subtracting the remaining loan balance and cost of sale from the net sale price. Cap Rate is the ratio between NOI(Net Operating Income) and the current market value of the propety. CCR is calculated by dividing BTCFo(Before-Tax Cash Flow from operation) by Equity investment. It is a method to determine how“efficiently”capital invested in the property is used. DCR is calculated by dividing NOI(Net Operating Income) by ADS(Annual Debt Service). EGI is calculated by subtracting vacancy and credit losses from GPI(Gross Potential Income). FCR is the potentila return the property assuming no debt financing. GPI is the total potential income of the property before any credit or vacancy losses. IRR is the compound rate of return that generates a zero NPV(Net Present Value) for a series of future cash flows. If IRR＞Discount Rate, the investment is considered worthwhile and profitable. k% is calculated by dividing ADS(Annual Debt Service) by Loan Amount. k% depends on the interest rate of the loan, the loan term. Positive leverage describes the situation in which borrowing helps increase the return of the investment compared to the return that would be achieved if the investor did not use any borrowed funds for acquiring the property. LTV is calculated by dividing the amount of a loan by either the sale price of the property or the property's appraised value. NOI is calculated by subtracting OPEx(Operating Expenses) from EGI(Effective Gross Income). It is used with Cap Rate(Capitalization Rate) to determine the value of a property. NPV is the sum of all cash flow over a number of periods plus the projected sale price discounted at a rate that reflects a financial goal, less the original acquisition cost. If the resulting value is negative, the investment is generally unacceptable, but if positive, the investment may be considered worthwile and profitable. Operating Expenses mean expenses that must be paid by the owner to operate and maintain the property. Operating Expenses include property taxes, property insurance, utilities paid by the owner, maintenance and management, but the principal and interest of the loan payment are not included. Payback Period is the length of time required to recover the cost of the investment.